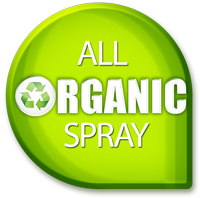 exclusively from organic material and are FDA approved. That means you don’t have to worry about any side effects or allergic reactions. We offer a variety of sunless tanning shades and tones ranging from golden to dark, rich brown. You also get to choose how much of that color you want meaning if you want your sunless tan to be lighter in some areas and darker in others (such as to help cover a tan line) then we can easily accommodate you. Our trained, certified staff will help you choose a color to match your skin tone and make you look as natural and perfect as possible removing the guesswork. We 100% guarantee your satisfaction. If you’re not happy with your spray for ANY reason, come back in the very next day and your touch-ups are COMPLETELY FREE. Are you tanning for a special event? Your spray tan will last you about 7 days and you will look your best for the first three to four days. That means if you are tanning for a special event, you should schedule your spray tan for one to two days before. Exfoliate for 2 or 3 days straight before your spray tan prior to your sunless tanning application to smooth skin for even tanning results. Spend a little extra time on the knees, elbows, feet, and hands. If you are looking for the ideal primer to help exfoliate, visit Sun Splash Tans for some great products. Shower as close to your spray-time as possible, but do not exfoliate at least 12 hours prior or use any harsh soaps. Also avoid anything that leaves a heavy residue on your skin, such as Dove soap. Any soaps with sulfate should be avoided since that will strip your tan away more quickly and make it fade more unevenly. You want your skin to be nice and clean so it is easier for the spray to absorb into your skin. Waxing/Shave no closer than 24 hours before your sunless tanning session. No special or extra shaving is required. In other words, shave only where you do normally. It is best to wait a few days after waxing prior to sunless tanning since waxing pulls the hair out below the surface of the skin, which can leave a tiny hole in your skin where spray solution can pool up. While rare, this might make it look like you have freckles in those spots. Do NOT moisturize skin at least 4 hours prior to your sunless tanning session. Lotions can create barriers, preventing the absorption of sunless tanning solutions and products. Remove makeup prior to sunless tanning for best results. Wear dark, loose-fitting clothes. Being organic means the sunless solution washes out of most clothes, but the immediate cosmetic bronzer could wipe off on lighter clothes, giving a temporary discoloration. You will need to apply barrier cream just prior to your sunless tan to the palms of hands, on nails and cuticles of both hands and feet and on any other areas where you do not wish to have a sunless tan develop. Sun Splash Tans provides this cream and will guide you on proper application. Do not wear wool, nylon, or silk during or after your sunless application until you have showered as the sunless ingredients could cause staining so bringing cotton with you to change into afterwards is best. When sprayed, you may wear as little or as much as is comfortable. We understand that many do not want tan lines and so clothing is typically not required. However, for those under 18 years old or for male clients who are sprayed by a female technician, clothing must be worn. Light blonde and platinum hair may be temporarily discolored as our technicians feather the spray lightly into the hairline to give a natural tan effect. Discoloration of the hair will typically disappear after the hair is washed the first time after the sunless process. We generally provide hair caps upon request if you wish to minimize any temporary discoloration. If you used an exfoliator within 12-hours prior to your spray or used anything that contained sulfate, you should ask your spray tech to pre-spray you with our pH balancing prep spray. The active ingredient in sunless tanning sometimes feel like it isn’t drying even if you’ve dried for 5 minutes or longer. This is normal and it is safe to get dressed even when you might still feel a little sticky. A little bit of light smearing is normal. This is just the bronzer in the spray and the smearing (if any) will wash off in your first shower. After your sunless tanning application, wait at least 6-8 hours before you shower or wear anything tight (including slippers, sandals, or flip-flops that may scrape). This will allow time for the self-tanning reaction to occur on the skin. Do not moisturize until after your first shower. This could effect the immediate reaction of the sunless solution on the skin and cause streaking. Do not swim for 6 hours after your sunless tanning session. Immediate contact with water, chlorine and salt water could affect the immediate reaction of the sunless solution. Also, keep in mind that chlorine and salt water may dry your skin and cause your sunless tan to fade faster. Wait at least 6 hours before you exercise. Excessive perspiration could effect the immediate reaction of the sunless solution on the skin. Do NOT exfoliate for at least 48 hours after your sunless tanning application. When you do exfoliate, remember to do so gently and evenly to preserve an even sunless tan. Continue to avoid soaps with sulfate in them or any shower gels that are unusually heavy, such as Dove, since this may influence how your tan fades. Moisturize your skin and stay hydrated so your skin is moist and healthy. This will also help avoid any blotchiness when your sunless tan is nearly faded. Don’t worry if you see color washing off from your first shower — this is normal. What you see washing off is the cosmetic bronzer. What is left is a beautiful sunless tan. Moisturize your skin with Salon-Approved Sunless Tan Extenders every time you bathe to maintain color. It has a light DHA bronzer to help extend and even out color while moisturizing the skin to keep it smooth, soft, and glowing. Apply to the face and body using a circular motion and wash or wipe hands after application. Even if you don’t use a tan extender, using a good sunless-friendly moisturizer at least once daily will help your tan fade much more evenly. If you are looking for a sunless-friendly moisturizer, we have several brands for sale to chose from in the salon. The skin does not always fade evenly everywhere, which sometimes leads to some spots having more color than others after about a week. You can even out results with SELF TANNER LOTION or SPRAY, which you can get at the salon. If your tan starts to fade unevenly, or you just need a tanning “pick me up,” you can apply the home version of our sunless tanning lotion or spray (available for purchase at Sun Splash) to the face and body. Wash hands with soap immediately after application. A great looking tan will develop in 2 to 4 hours. Reapply as needed for deeper color. Remember to wear sunscreen. Self Tanners do not contain a sunscreen. Although you look like you have a tan, you actually can still sunburn.